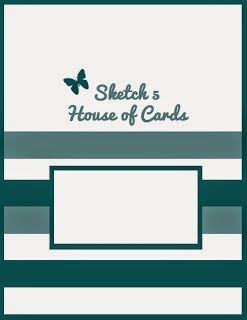 Today at House of Cards we are showing you the Cute Cards using this month's sketch. For my cute card I too my strips and adhered them to my white panel. Then I embossed the whole thing. I know this technique has a name-but I don't know what it is called. 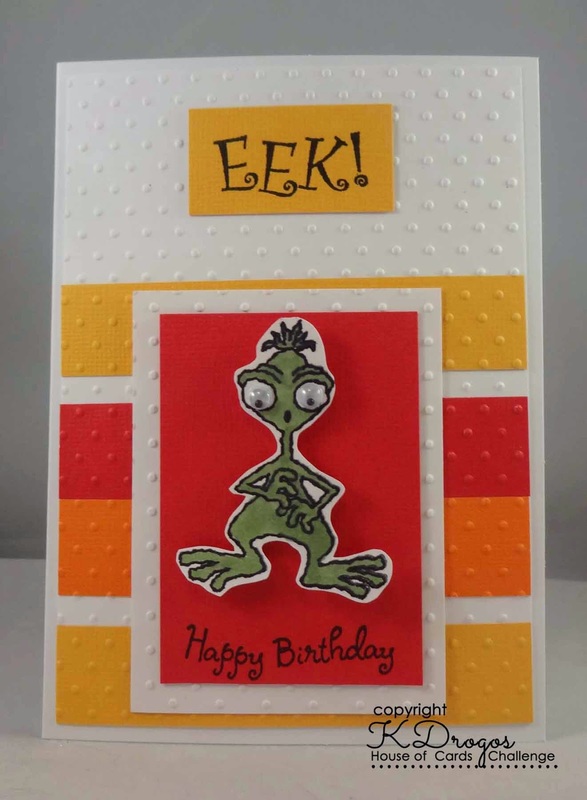 I used 2 stamps from a Close To My Heart set (Merry Monsters) and the Happy Birthday is from Great Impressions. Here is the link to the original post (with the Linky). So fun!! LOVING the colors!!!!! heehee what a cute image.. fun card. Oh how fun! Great card Katy!